hū started with asking a simple question: what’s the most beautiful and artistic expression we can create using a singly unmodified Galaxy S7 Camera? 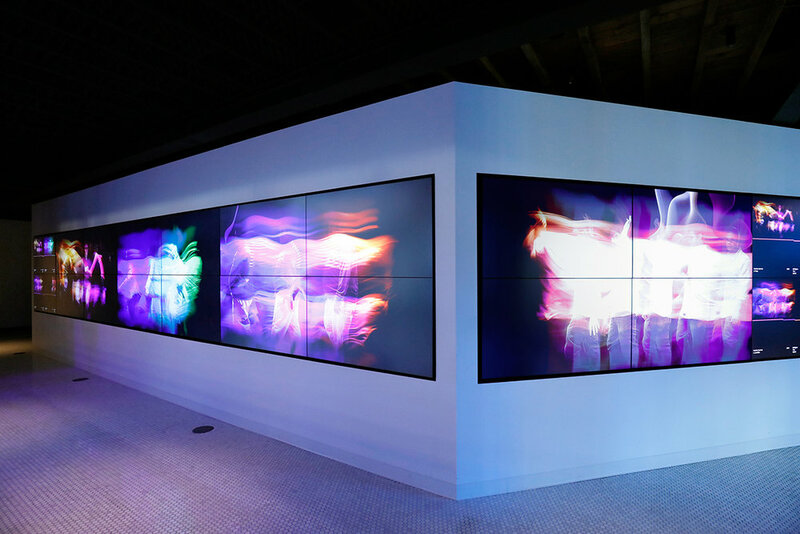 The result is an immersive photographic experience built into Samsung’s flagship store in the heart of New York’s Meatpacking District – a space designed for artists to explore the limits of technology. We developed a photo booth experience that uses a single photograph to transform each users’ movement into abstract works of art. Users can share their portraits to their social accounts, or send to the big screens throughout the 837 space. It’s a perfect balance of technology, creativity and personality, creating an immersive experience that blends tech and culture.